From video doorbells and digital assistants to robotic floor cleaners and smart thermostats, IoT devices have infiltrated our lives. Next stop? Healthcare. A recent study by Allied Market Research predicts the internet of medical things, or IoMT, market will reach $136.8 billion by 2021. What’s driving that growth? An aging population, technological advancements and increased demands to lower healthcare costs are all primary factors. The elderly population is growing as healthcare and wellness initiatives continue to improve. As a person ages, the number of health issues they have increases. IoT healthcare devices provide a lower-cost and less intrusive way to manage their health. Vital-tracking wearables, medication reminders and portable diagnostic devices reduce the number of visits to the doctor and increase the level of patient care. Another growth area is personal emergency response systems which provide fall detection, emergency assistance and even navigation back to residence. These innovations help streamline health management so that seniors can go on living a normal life at home. IoT tools and devices are revolutionizing medical care. Notably, remote patient monitoring devices enable innovative new ways of tracking a patient’s health. Devices like glucose monitors, pulse oximeters and blood pressure monitors are fueling growth expected to reach a compound annual growth rate of 17%. Cloud computing and virtual infrastructure also give caregivers real-time information and enable evidence-based treatment. Artificial intelligence is another key driver in the IoMT market. Hospital healthcare robots may seem futuristic, but they’re being used today. And according to IDC, there will be a 50% increase in the use of robots by 2019. In fact, we are seeing this trend at Geisel Software already as our robotics business continues to grow. These robots perform simple, automated tasks such as delivering medications, food and lab results. IoMT devices can also directly feed data into larger AI-driven healthcare analytics systems. These systems can diagnose heart disease, and detect blood infections and even certain types of cancer. Sound a bit far-fetched? It’s exactly what IBM’s artificial intelligence platform Watson did. It was able to correctly diagnose a 60-year-old woman’s rare form of leukemia within 10 minutes. What does the future hold? Hospital check-ins will feature imaging technology that can take your vitals when you walk in. It will assess heart rate, temperature and respiratory rate, and sensors will perform a blood pressure and ECG test within 10 seconds so that a patient gets an immediate diagnosis or triage. Remote patient monitoring: IoMT devices allow non-critical patients to be monitored at home, decreasing hospital admissions and reducing unnecessary costs. Remote equipment diagnostics: IoT technology can monitor and manage the health of expensive medical equipment and significantly improve downtime costs. Operations: Real-time location systems provide immediate or real-time tracking and management of medical equipment, staff and patients to improve workflow, reduce costs and increase clinical quality environments. Improved medication adherence: IoT-enabled technologies like smart packaging and connected drug delivery devices ensure patients adhere to their prescribed medical treatment. By combining smart devices with managed connectivity and the cloud, providers can track adherence and give patient feedback. 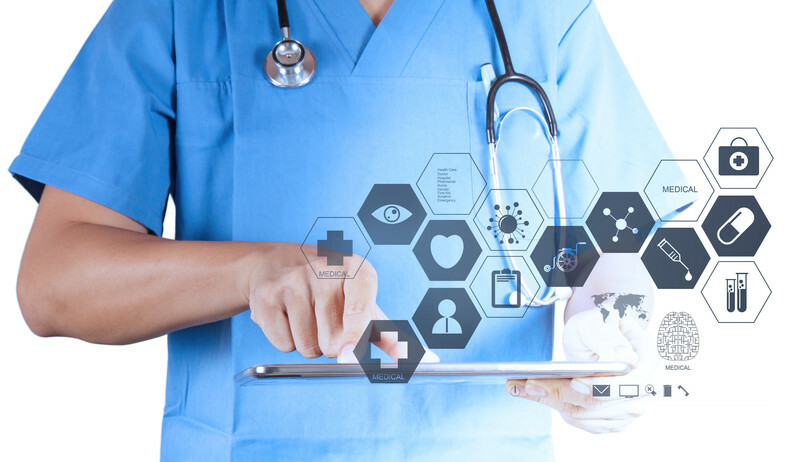 The internet of things has begun to transform the healthcare industry. Healthcare professionals will begin to rely on IoT to improve care for seniors, optimize patient care and reduce healthcare costs. As a result, this sector is poised for rapid growth.